The 2nd Judicial Colloquium on Commercial Law is being held this week with the Union Supreme Court of Myanmar. 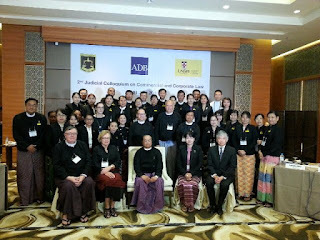 The Colloquium is part of a project by UNSW Law and the Asian Development Bank to support the handling and adjudication of commercial disputes by the courts. We are delighted to have Justice Reyes, Justice Bergin and Justice Heath contribute, as well as insolvency practitioners John Martin and Scott Atkins.